495 Tramway Drive #18 Stateline NV offered at $399,900Ski In – Ski Out!!! 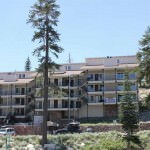 4 BEDROOM CORNER UNIT WITH LAKE TAHOE PANORAMIC VIEWS, AN ELEVATOR, DIRECT ACCESS TO HEAVENLY- BOULDER, AND A SPA! This beautiful condo boasts a cabin style fireplace, vaulted ceilings with exposed beams, a breakfast bar and a NEWLY renovated kitchen with brand-new appliances! This FULLY furnished condo is perfect as a ski rental, corporate retreat, or a personal Lake Tahoe residence.Continue Reading! 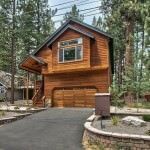 1876 Guadalupe St South Lake Tahoe CA offered at $535,000Reduced-Best Value! This custom county home is located on a quiet street in the popular neighborhood Tahoe Paradise. Built in 2005, yet it is like new & has barely been used. Floor plan is the desirable upstairs open living with vaulted ceilings, hardwood floors & a gorgeous rustic rock fireplace & hearth. Doors & window sills are rich cedar wood. Kitchen & baths are finished with natural stone flooring granite...Continue Reading!